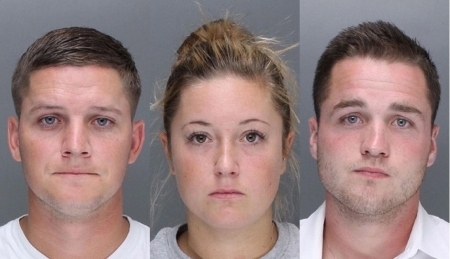 A preliminary hearing was held today for the three defendants charged in the September 11th Center City gay-bashing attack near Rittenhouse Square that sent one man to the hospital with a broken jaw. The defendants (Kevin Harrigan, Kathryn Knott, and Phillip Williams) have been ordered to trial on assault and conspiracy charges. One of the victims, Zachary Hess, told the court today that he was walking with his boyfriend down the sidewalk when a large group of men and woman approached from the other direction. He said the group began to shout homophobic slurs at the couple after they identified themselves as boyfriends. The shouting turned into a physical attack. Hess' boyfriend, Andy Haught, ended up with multiple facial fractures and a broken jaw that had to be wired shut. The defense contends that the fight was a mutual confrontation and that his clients were not out that night looking for a fight. Pennsylvania law does not define attacks based on a person's sexual preference a hate crime. 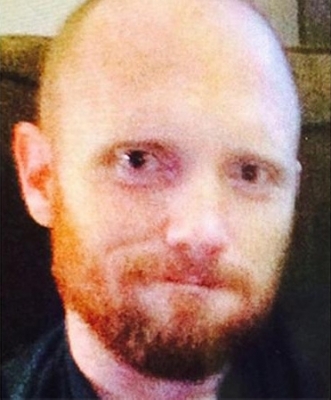 Montgomery County shooting spree suspect, Bradley Stone, was found dead in the woods near his home in Pennsburg, PA around 2 p.m. this afternoon. The body was discovered in a heavily wooded area near 4th Street and Schoolhouse Road. MontCo District Attorney Risa Ferman said the cause of death appears to be a self-inflicted stab wound. The coroner's office still has to make the official determination. Stone killed his ex-wife and five members of her family and injured another early Monday morning in three different locations in Lower Salford, Lansdale, and Souderton. The lone survivor, a 17-year-old teen, is in the hospital in critical condition suffering from knife wounds. Most of the victims were shot but some also suffered cuts. Stone's two young children with his ex-wife are safe and in protective custody. The courts will determine where they go. Souderton Telford Rotary will create a fund for the surviving children. Stone's current wife and child are also in protective custody. There is no indication that the ex-marine was suffering from Post-Traumatic Stress Disorder or PTSD. Two more Philadelphia elected officials were charged Tuesday in the undercover sting operation that targeted a number of public officials for bribery. 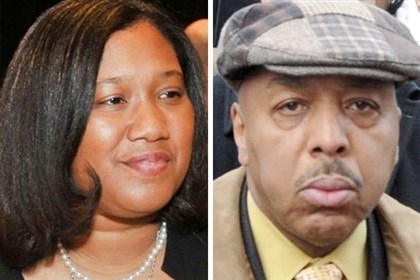 District Attorney Seth Williams announced the charges of conspiracy, conflict of interest and bribery against Democratic State Representatives Ronald Waters and Vanessa Brown. They are accused of taking cash from an undercover informant for 'special consideration' and were caught on video tape. Waters allegedly received $8,250 over eight payments; Brown received $5,000 in six payments. The case was picked up by the Philadelphia DA after Pennsylvania Attorney General Kathleen Kane abandoned the case started by her predecessor. Kane said the case couldn't be prosecuted citing possible racial profiling and the credibility of the informant. Williams has criticized Kane's assertions as unfounded and false. Former traffic court judge Thomasine Tynes has already pled guilty in connection to the sting. Two more Pennsylvania Democrats, Reps. Louise Williams Bishop and Michelle Brownlee, are still being investigated by the grand jury.